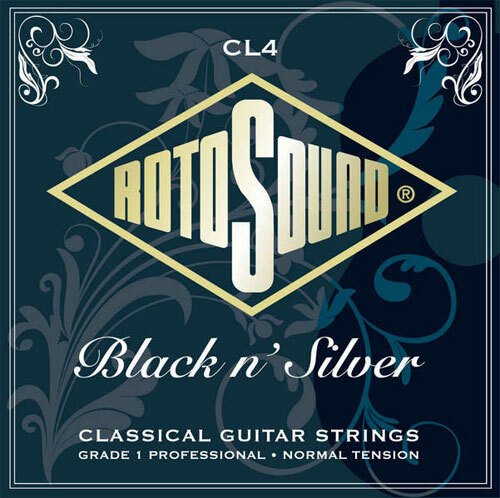 Grade 1 'Black n' Silver' classical guitar strings are manufactured to a normal tension characteristic specifically designed for fingerstyle playing. The wound strings are Silver Plated Copper on a Nylon Core and the plain strings are high quality smooth rectified Black Nylon. I'm unsure of the science that contributes to the brightness of the black nylon strings over the clear, but they produce a crisp quite bright tone, while the wound strings have a nice warmth to them; combine that with a great price and a look a little different to the norm makes these far and away my favorite strings by a pretty wide margin.